Looking for places to write game reviews so that you can share your opinions and reach a wider audience? As a gamer I love playing games but I also love sharing the experience with others so I use these sites regularly. Maybe you're a seasoned writer or just starting out like me, whatever your level of talent you'll be able to find a website below that works for you and your schedule. After searching the web for months for places that I could publish my gaming themed content I stumbled upon a few websites that I think are perfect for newbies and pros alike. It's been a long journey to find places that I feel comfortable writing and I hope that this page will help remove the barriers that I experienced while trying to find a website that met my needs. While I've only been writing for a short time I've since some decent success already and I hope to update this page in the future if I find other great places to write video game content. 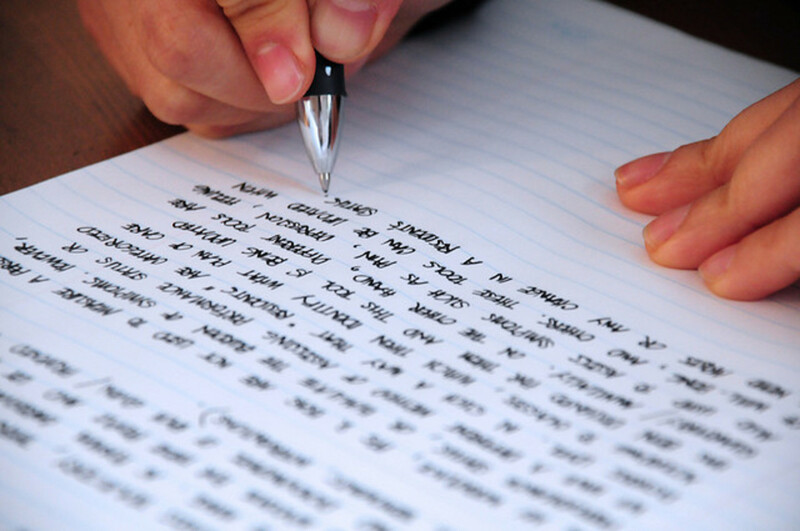 I'd love to hear about your own experience writing on the websites I've listed here or some that I've missed so don't hesitate to leave a comment at the end of the page and connect with me, I watch all comments closely and look forward to hearing from you. 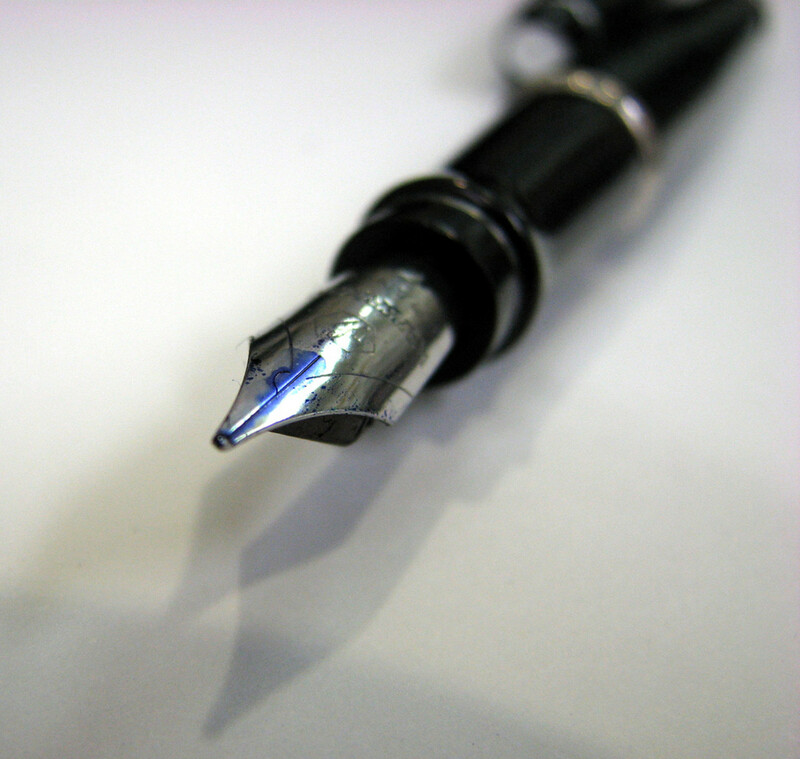 Why Do You Want To Write About Gaming? Web 2.0 websites was the first placed I looked to publish my reviews and other gaming content. There are heaps of these sites out there (Squidoo, Wizzley, Zujava, Seekyt, InfoBarrel and many more). On all of these websites I looked to see what other gaming content was being published and the reactions it was getting (was there other gamers on these website commenting, was it getting good exposure on topical pages). Many of the Web 2.0 websites I looked at didn't give this category of writing much exposure and didn't seem to have a large community of gamers on them so I decided to look elsewhere. Ultimately this led me to HubPages where I found a nice little gaming community with it's own active topic sections that always seem to have new gaming content to read and review. I also found that HubPages was the easiest website to write for with plenty of different sections (called capsules) that made it easy to insert all the important features of a game review (text, pictures and video). 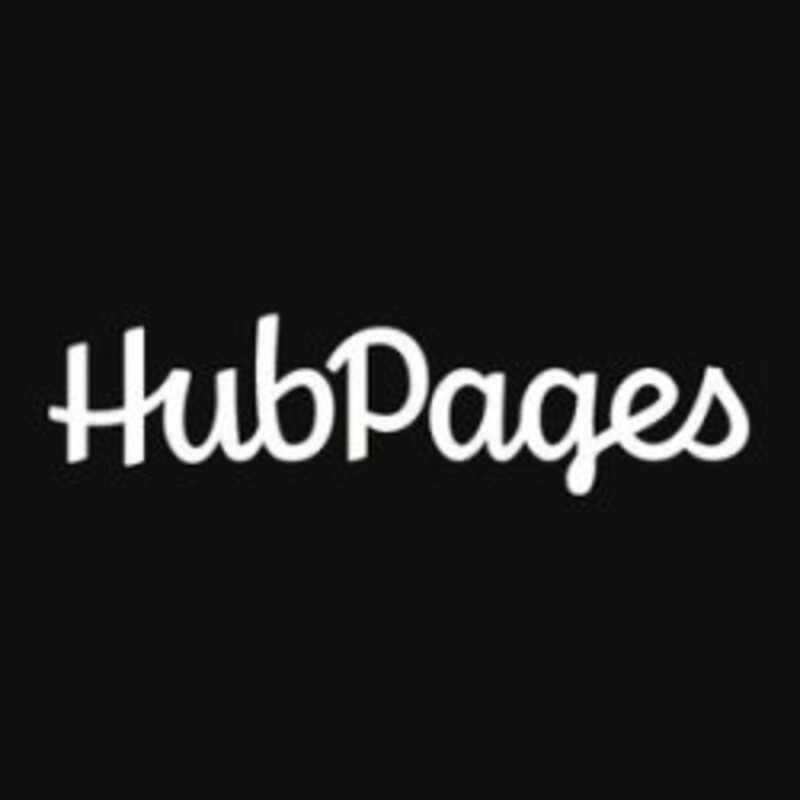 At the moment I've published around 30 Hubs so I still have a lot to learn but it definitely wasn't a difficult learning curve thanks to Hubpages. If you are just starting out and want a lot of freedom and support then I recommend you try HubPages first. A Website That Is Perfect For News/Cultural Pieces. GameSkinny is a website that focuses solely on gaming related content and is better if you want to write opinion/news pieces because of it's reader base (whereas HubPages is better for reviews and editorials in my view). 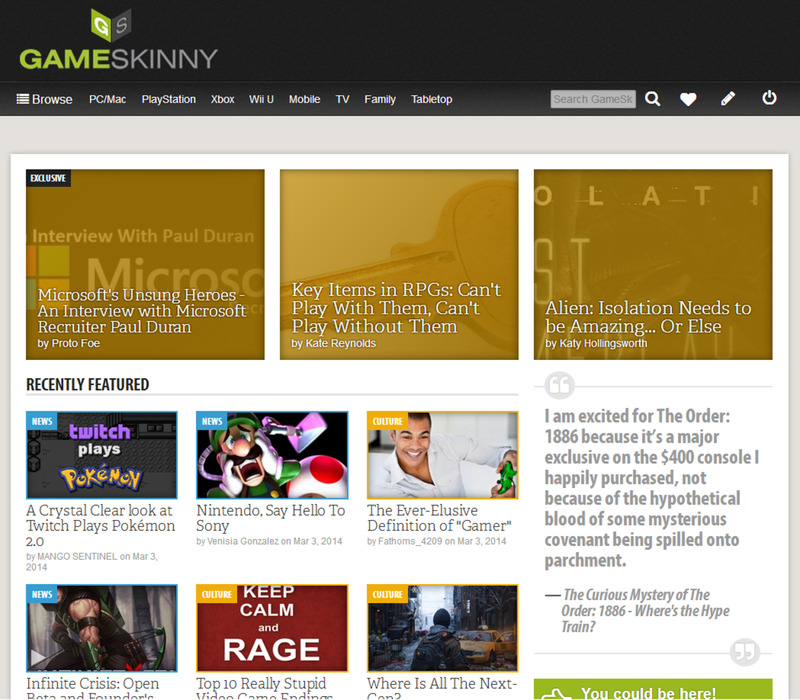 The idea behind GameSkinny is gamers writing for gamers. You can sign up for free and within minutes publish your first article, to ensure that the best stuff gets featured on the front page GameSkinny has a great team of editors behind the scenes that provide feedback and promote the best posts to the front page and out of the lobby (the temporary area that all new posts go). After some of my first articles the kind words and feedback of the GameSkinny staff really pushed me to work harder and improved my writing and style dramatically. This makes it great for new writers and even the intermediate ones that just want to tighten their writing in certain areas. Since the community of GameSkinny is entirely gamers it isn't hard to connect with others on the website and you'll find that every article that you publish attracts plenty of relevant comments. If you're a gamer looking to get into writing then I think that GameSkinny should definitely be part of your online portfolio. The feedback and comments you get will improve invaluable as part of the learning process. The best part though was that I never needed to promote my work because the GameSkinny reader base would read my work so it reduced the overall workload on me. A Website Focused Solely On Game Reviews. 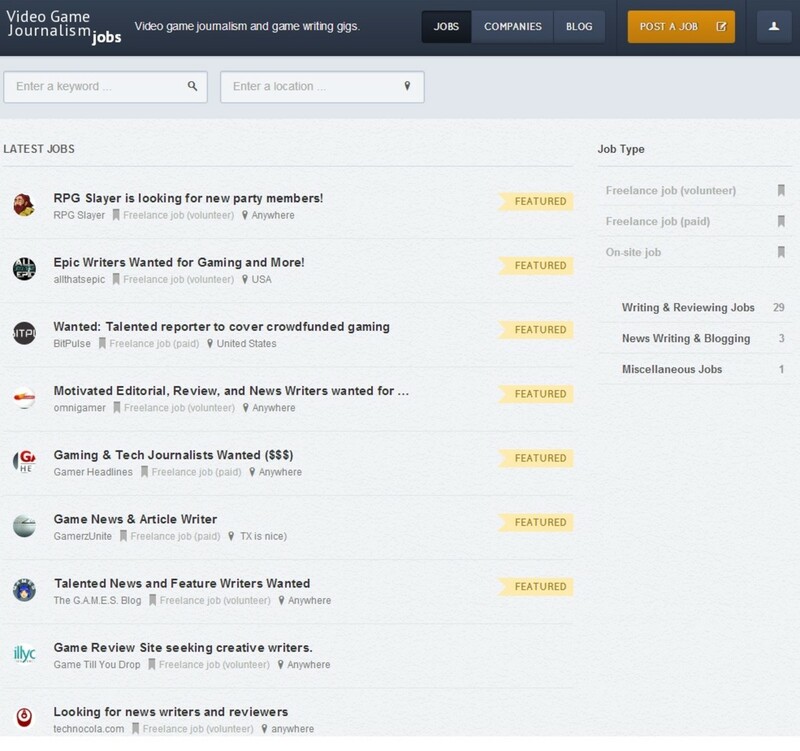 I discovered Games Finder one day while searching a forum that was dedicated to gaming journalist positions and it's a great option if you're just looking to publish a review on your favourite game. On Games Finder you can do one or a dozen with no pressure to keep publishing content. Just like GameSkinny I learnt a lot from the minor edits to my work the editors made and I got some really good feedback. The website itself is a game recommendation service and your reviews help to build the database of game reviews. Part of my original drive to write a review for them was that one of my favourite games ever was missing from one of their categories so I opted to write a review and have it included. While these game reviews are done on a volunteer basis (just like GameSkinny above) the website seems interested in promoting several of their writers into paid positions (on a per review basis) so it could also end up being a nice little hobby just like HubPages that rewards you with money for your writing. 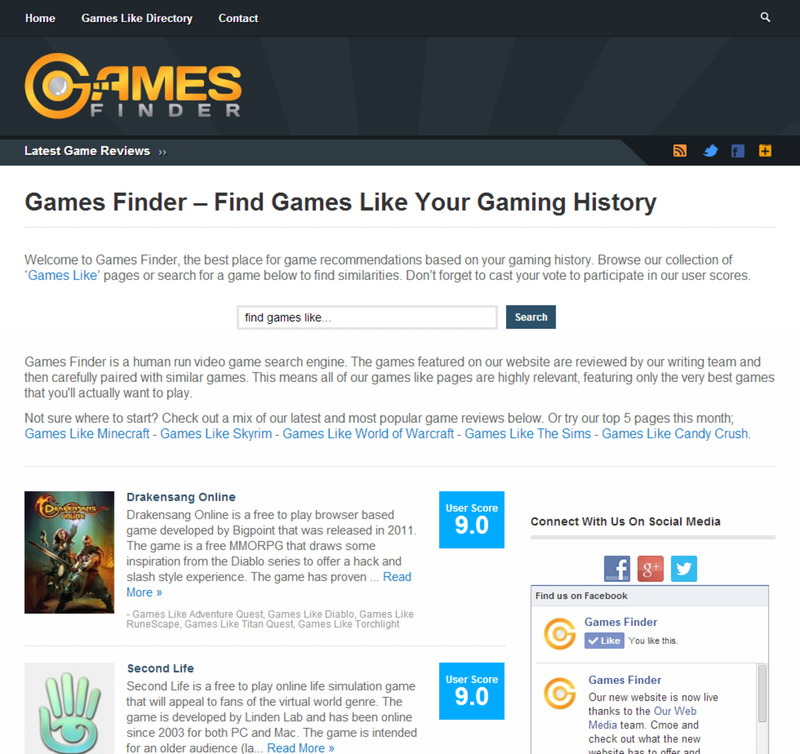 If you'd rather review your favourite online store Games Finder has a sister site called Stores Like Finder. It's still a fairly new website and only been around for about a year so there is still plenty of room to carve a niche out for yourself by reviewing some of your favourite games. Not only do you get to practice your writing and build a portfolio but you'll also be building one of the great game resources on the web. I was also a fan of Games Finder because it's a high traffic website so you know you're reviews are getting read and not just buried with everything else on the internet. Video Game Journalism Jobs is a website that I check constantly to see about current jobs in the gaming industry. Most of the postings are for small to medium websites and many of them are fully paid jobs. If you're looking to make a career out of your writing and have had previous experience this this website is a great place to hunt for jobs. For newer writers like me the volunteer writer sections are a gold mine of potential websites that I can write for to improve my portfolio and reach. From time to time you'll also get technology review jobs and even game commentary jobs so there is good choice available. All of the job listings are highly detailed so it's easy to understand what is expected of you and what you'll be given in return. It's definitely a website that caters to more experienced writers though so I recommend signing up for the three websites I've listed above here first to build up a portfolio that you can provide on these job applications. Where Do You Like To Write Game Reviews? Are You On Any Of These Sites Already? Very well written article with a lot of good tips! They do have a great editing system as the review says and the community is good. Hi, been looking for somewhere to post and consolidate my game reviews and your article is certainly in-depth but I think there may have been some changes since it was written? GameSkinny seemed like the perfect choice for me, however when you submit a review (which has to be unique to that site, not allowed to post it elsewhere) it goes to the lobby where only editors and other signed in people can see it. some have been there months and not promoted (urls to your review will not work until it is promoted) my submission is now 24 hours old and not available publically. Games Finder does not appear to have any way to post reviews on it or even a way to sign in. It could be that they have all the reviewers they need? Hub pages looks to be my only option but seemed the least favourable in your article, is there any other suggestions? 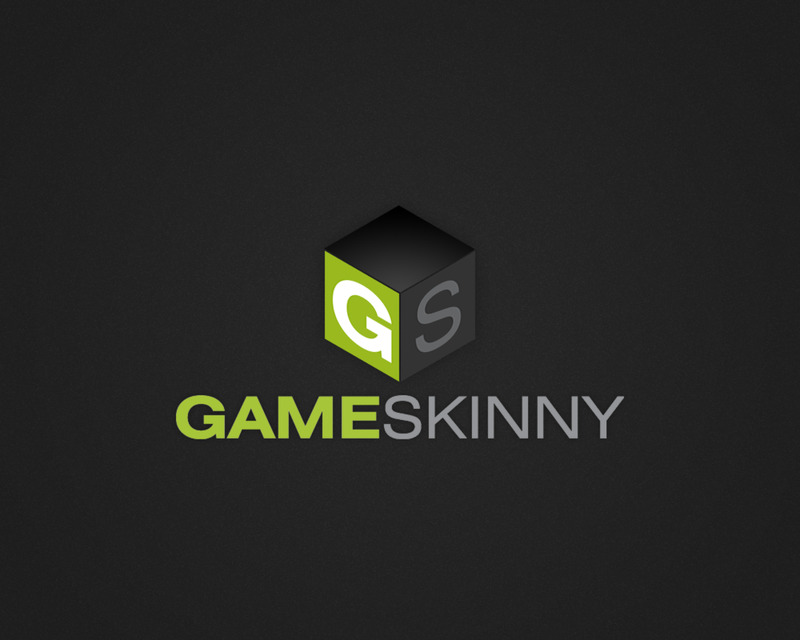 Definitely need to checkout GameSkinny sounds like a great website. 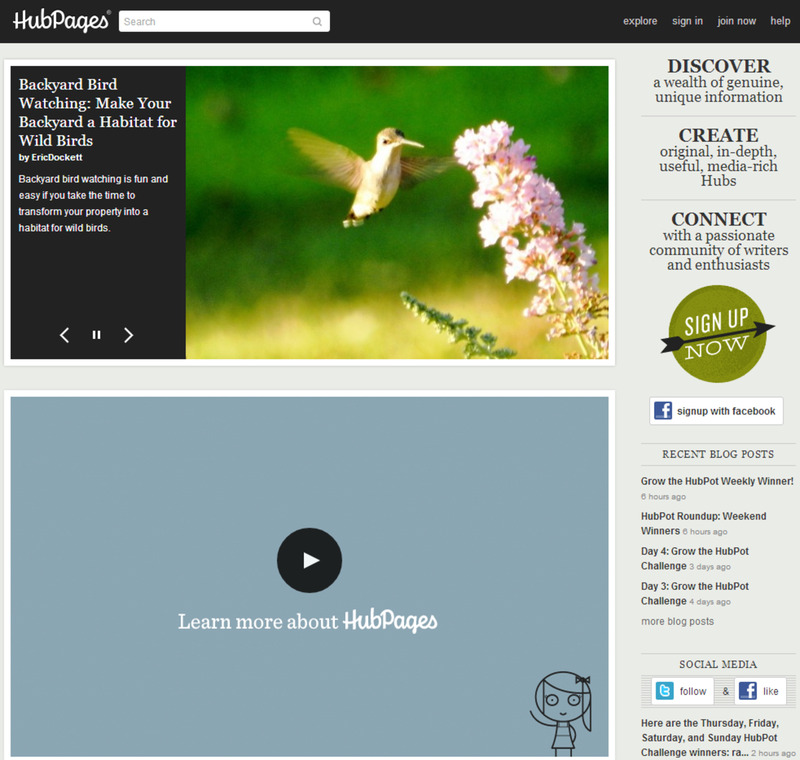 I just joined HubPages based om this article! Will check out some of the other sites you mentioned as well. This was a great read! Thanks for the advice. I think I'll turn this into a full time job. Wow. I never realized that there is such an awesome community of game review sites. This was fascinating and useful information. Thanks!